Charles C. McLean Public School is an English program public school serving approximately 150 Kindergarten to Grade 8 students living on Western Manitoulin. The staff at C.C. McLean denote a great deal of time and effort to developing a well-rounded program for students. In addition to regular classes, students benefit from Music, French and Computer instruction. Intramural and extra-curricular activities to encourage active, healthy living beyond the scope of school. Teams include basebcall, basketball, cross-country running, soccer, track and field and volleyball. Students participate in choirs, public speaking competitions and literary contests. Through our character education program, students develop their personal character as well as their commitment to the school, community and planet. Demonstrations of character traits such as honesty, responsibility, respect and sportsmanship are acknowledged and recognized. Buddy Reading, storywriting and Winter Fun Day encourage interaction between children of various age groups. Older students are positive role models, fostering a caring community. Parents and community members support school projects by volunteering and providing financial donations. Nurtured business partnerships have enhanced student learning. Manitoulin Transport sports our WIN IT program, by purchasing certificates and seals to recognize achivement in academic, athletic and artistic endeavours, as well as participation, effort, commitment and citizenship. The Royal Canadian Legion sponsors the public speaking contest for all ages and awards cash prizes and financial support for students who compete and regionals and provincials. Students also take part in the Legion’s Remembrance Day Porm, Essay and Poster Contest. 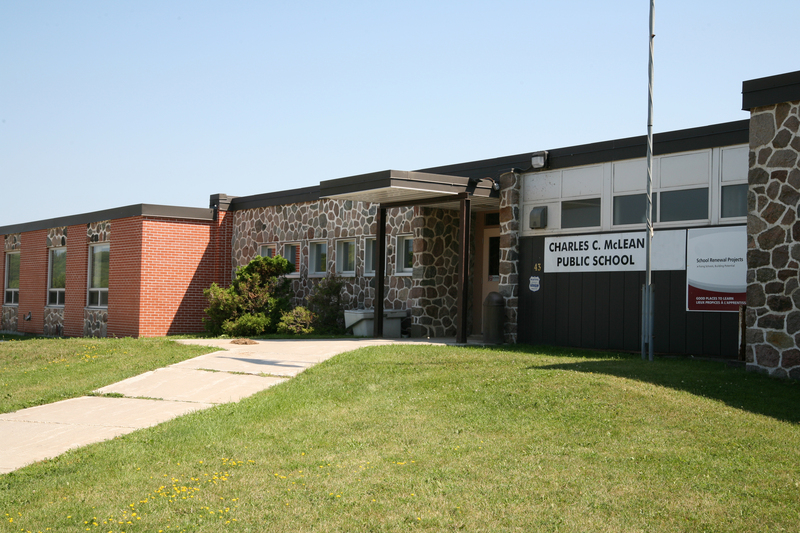 Our school is named after Charlie C. McLean, who served as school Principal for many years. Progonally the Gore Bay Continuation School, and later the Gore Bay Public School, Charles C. McLean officially changes its name on October 12, 1973. Looking for child care at Charles C. McLean Public School?